Nara Rohit is quite pleased with the response that his latest film Prathinidhi has been receiving from the audience. Directed by Prashanth Mandava, the film also had Shubra Aiyappa in a lead role whereas Anand Ravi had written the script. With hardly any pre-release buzz, Prathinidhi is slowly garnering attention, thanks to its concept and powerful dialogues. 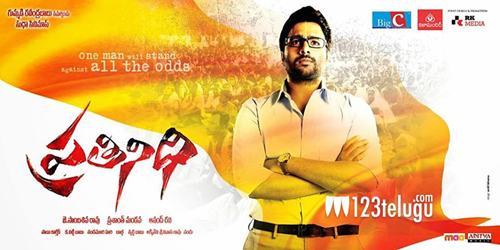 Nara Rohit’s performance has been getting good reviews and critics have appreciated his maturity in terms of how he has approached the role of a young guy, who’s vexed up with the system. Sambasiva Rao had produced the film and Sai Karthik has scored the music. Meanwhile, Nara Rohit’s next film, Rowdy Fellow is slated for release later this summer and couple of songs will be shot soon.